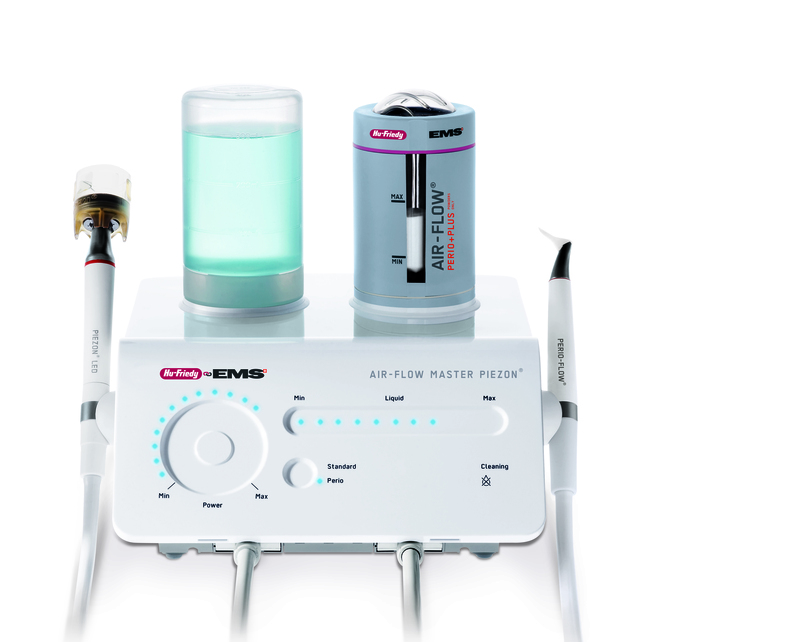 Hu-Friedy and Electro Medical Systems (EMS) Piezon power scaling products combine the precision of piezo technology, uniform power output and ergonomics in 4 devices that can optimize treatment efficiency and increase both patient and clinician comfort. These products can be used in even the most difficult or sensitive cases, including subgingival fine scaling, implant maintenance, and endodontic treatments. The Hu-Friedy EMS AIR-FLOW family of air polishing products delivers the most advanced and effective method for supra and subgingival biofilm and stain removal. When used subgingivally, the AIR-FLOW devices and powders can reduce periodontal pocket depth, remove biofilm, and help prevent peri-implant diseases.